You have to admit, once the big fella gets going, there’s just no stopping him! Just days before the release of his brand new album, Damn Fool, Scoob confirmed via Twitter that he will appear on the cover of MurderDog magazine. The national hip hop publication emphasizes its focus on independent musicians, and has featured the likes of Tech N9ne, Krizz Kaliko, and Kutt Calhoun. Scoob can now join his Strange Music peers as he will grace the cover like a real boss. Scoob admitted that getting the cover of MurderDog was a long time goal of his, and now he can cross that sucker off his bucket list. Stay tuned for more information on Scoob’s MurderDog issue. 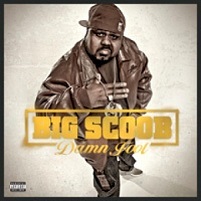 Click here to pre-order Big Scoob’s Damn Fool.